I was trying to find a poem about the rewards we choose to bestow upon ourselves for a week or two (or four or six) of continuous hard work. A poem about Cheetos or peanut M&Ms or a day in bed or coveted electronics. I was hoping to find poetic justification for dropping a wad of cash on a toy I that don't really have time to play with, but whose sleek and elegant design makes me happy just to hold it in my hand. Instead, I found this poem. Before you read it, go outside and get a colorful fall leaf upon which to write your answers. After you are done, toss the leaf to the autumn winds and watch it fly away. b) Knowledge is only possible by means of the mind or psyche. 2.a) My life is largely controlled by luck and chance. b) I can determine the basic course of my life. 3.a) Nature is indifferent to human needs. b) Nature has some purpose, even if obscure. 4.a) I can understand the world to a sufficient extent. b) The world is basically baffling. 5.a) Love is the greatest happiness. b) Love is illusionary and its pleasures transient. 6.a) Political and social action can improve the state of the world. b) Political and social action are fundamentally futile. The rest of the Questionnaire is here. The round up is at Poetry for Children (even though mine is not). 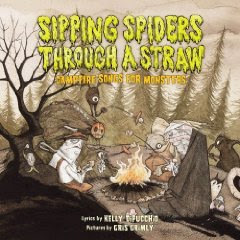 SIPPING SPIDERS THROUGH A STRAW: CAMPFIRE SONGS FOR MONSTERS by Kelly DiPucchio is a fun book for the week of Halloween. But I think kids would enjoy it all year long. I know that song books are quite popular with kids. TAKE ME OUT OF THE BATHTUB and other books by Alan Katz become quick favorites with whichever group of kids I introduce them to. Playing with the lyrics of well-known songs to create amusing new songs is quite fun! Kids never seem to tire of singing the same favorites over and over. SIPPING SPIDERS THROUGH A STRAW is a book in which the author writes new, monster versions of favorite campsongs. Songs include Do Your Guts Hang Low?, If You're Scary and You Know It, Clap Your Paws, and 99 Bottles of Blood on the Wall. 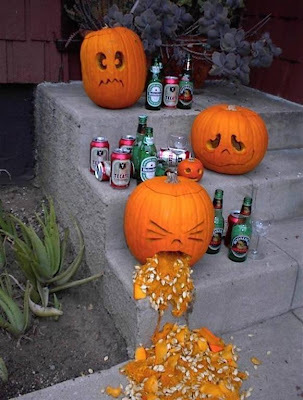 Very creative and fun. Kids will love them! And the illustrations are a perfect match. Many shades of brown with a hint of green every so often. They are spooky with enough humor to keep them from being scary for kids. LISA YEE'S BODACIOUS BOOK TITLE CONTEST IS ON! How I missed this for 2 whole days, I do not know! But one of my favorite events is happening over at Lisa Yee's blog. If you have ever been on her blog during her title contests, they are laugh-out-loud funny. The best. So, visit Lisa's blog for this year's (the 49th annual) rules and to read some of the entries. I would highly encourage participation. It is actually quite addicting. It is hard to read a book title without thinking of the possibilities. Really, really fun! 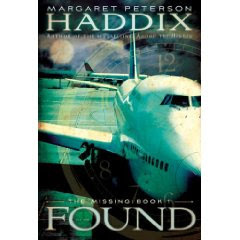 I am a huge fan of Margaret Peterson Haddix. I love the Shadow Children series as well as many of her others (RUNNING OUT OF TIME is also a favorite.) So, I was thrilled to see that Haddix has a new series. The first book in the THE MISSING series is called FOUND. I read it last week--in a day. Once I started, I couldn't really put it down. The book starts out letting us know that 13 years ago, an airplane landed at the airport. This was an airplane with no pilot. The plane was filled with babies. Records were sealed and not many people knew about the plane. But now, 13 years later, 2 boys (both adopted as babies) begin to get letters that say things like "You are one of the missing." and "They are coming back to get you." The rest of the story continues with the characters trying to figure out what is going on, working through their own adoptions, and thinking about the histories they don't know. This book is definitely a page-turner. A great concept with Haddix's great writing. The ending is a bit of a surprise but quite good. I am anxious to see where she goes with the rest of the series. I am interested in how the adoption community is responding to this book. I know as an adoptive mom, I read the book with that eye. I am not sure how I feel and am not sure how adopted kids will take the book. It was clear to me that either Haddix has experience with adoption or else she did her homework. All of the adoption talk in the book seemed politically correct. She seemed to have a good sense of the things adopted kids struggle with. And she seemed to create characters and families that deal with their adoptions in different ways. And she hits the identity issue from lots of angles--an issue that all kids struggle with at this age. But, the storyline and the letters captured a fear that I am not sure adopted kids at age 9 would be ready to deal with if they read this book on their own--THEY ARE COMING BACK TO GET YOU. On the other hand, I don't think you can ever know what another person will take away from a book. I am just curious to know how other people involved in adoption (kids, parents, etc.) feel about the book and the premise. Sorry for babbling. I loved the book and all of the students who have read it seemed to love it too. It is a great series and it keeps you engaged throughout. I don't want to give much away so I'll stop here but definitely worth a read! I read THE ZOEY ZONE: GEEK CHIC this week. I think it will definitely be popular with middle grade girls (I am thinking grades 3-4ish). Zoey is a great character and I love the concept of the book. Zoey is worried about fitting into middle school and she has a year to go from "geek" to "chic". The year is not easy and Zoey is not sure of herself. But she finds that she has her own style that works and that being who she is matters most. A story that has been told before--kind of. Girl finding out that who she is is better than trying to be something else. But this is really a fresh look at this phase of growing up for girls. First of all, the format of the book is fun. Filled with font changes, illustrations, and other breaks in the text. This format seems to appeal to readers these days and it works well here. Zoe is also a fresh character. Likable and easy to relate to. There are also other fun little additions--a glossary at the end with "Chic ZO-cabulary". Great fun words used in the story are included. I must say that the cover is one that kids will gravitate to. I know I did. Bright and colorful with a character you know you will love right there in the center. I am hoping that this character will show up in more books. A series, maybe? But I haven't seen any info on that. Either way, Zoe is a character that kids will love. Can't wait to give it to my 3rd grader and to get one for the school library. The book's site and the author's site are worth visits too! Julia Gillian is a great new girl character. She lives in a third floor apartment in Minneapolis with her parents (mother is a first grade teacher and father is a high school teacher). She has a St. Bernard and her parameters include walking Bigfoot for an hour alone within a 9 square-block area. Her list of accomplishments has filled one whole side of a sheet of paper and goes onto the back. Down one floor live her friends Enzo and Zap, who are brother and sister. Enzo is 18 and chooses to live with her brother Zap who is in his twenties and wants to become a famous chef. Julia Gillian is nine years old and she's starting to realize that the adult world isn't quite as great as it's cracked up to be. Her parents read the newspaper, despite all the bad news, so that they will know what's going on in the world. Julia Gillian is starting to realize that perhaps her parents don't always tell her the truth. And she's afraid to finish reading her book because she doesn't think she's going to like the ending. 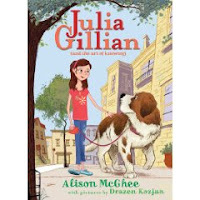 Julia Gillian works through her fears with the help of Enzo and Zap, Bigfoot, and a little girl in the neighborhood who is afraid of kindergarten. In the process, she helps her parents to better understand themselves and their "marvel of a child." Julia Gillian is a spunky as Clementine, with as unique a world view, but she's a little older and a little more serious. I'll be waiting just as anxiously for the next book in the series. 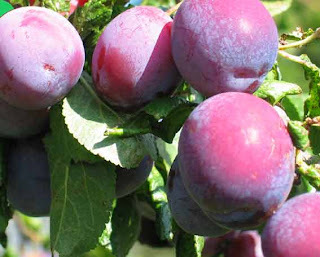 Alison McGhee's website is here, and her blog is here. Little Willow has an interview with the author here, and SLJ's interview with the author is here. I finally took Carol's advice and read this book. It's a quick read and I'm definitely going to have to keep a tight grip on it when I take it into my classroom. I need to hold onto it just long enough to do a mini lesson in writing workshop on leads, then I'm pretty sure at least five of my boys will be fighting over it, if the girl with three older brothers doesn't get to it first. My favorite lead? "I learned how to cook because I like stirring oatmeal more than I like picking up poop." There are 38 two- to four-page chapters and lots of family photos and other assorted illustrations. If you need to find your favorite chapter or anecdote, there is an extensive index. Don't delay a minute longer. Read this book. You could use a good laugh. This poem goes out to the men in my life who have known their way around a hardware store and a toolbox with their eyes closed. But it also goes out to anyone who knows the secret names of flowers and trees, constellations and kitchen gadgets. and you'll learn a thing or two. Squid is back with a paintbrush and a new boast, "I'm the best artist in the ocean." He can draw all kinds of ocean animals in all kinds of artistic styles, but the clown fish get grumpy when he splatters paint on them. Squid is not deterred, he is making his masterpiece! Then shark comes along with a full-page, sharp-toothed, "STOP!" He points out to Squid that he is making a mess. In a gigantic double gatefold spread, Squid reveals the surprise canvas for his "MESS-terpiece!" No, I'm not going to spoil it. You'll have to see for yourself!! Check out the very funny interview with Kevin Sherry by the very funny ladies at Three Silly Chicks. This is a very sweet book. It is a fable about a robot with a broken heart. Literally broken. But as the story unfolds, the literal broken heart -- the hole in his chest where his heart used to be -- becomes a figurative broken heart as well. A bluebird flying south that is caught in cold weather is invited to take shelter in the robot's chest where his broken heart used to be. He can feel his heart fluttering, his heart now sings, and when the bluebird flies a little way, Robot feels like his heart is flying. When it doesn't look like the bluebird can make it south on her own, Robot carries her in his heart, sacrificing everything to get her to the sunshine, where she lives in his heart forever. I haven't tried this book on a kid audience, but I'm thinking they'll respond to the unlikely friendship between the geometrically-drawn yet emotive robot and the tiny soft bluebird. They'll cheer for the robot to overcome all obstacles to get the bluebird to the sunshine, and they'll feel the bittersweetness of the ending. Even if this book flops with kids, it will make a great gift book for someone you will hold in your heart forever, someone who has made great sacrifices for you. I'm not ready for the reality of snow yet: slogging, shoveling, slipping, sliding. But I'm more than ready to dream about snow and remember all the different kinds of snow. That's what Cynthia Rylant's new book is good for: dreaming and remembering and snuggling up with her descriptions of fat-flaked school-closing snows, light snows that sit on even the smallest tree limbs, heavy snows that bury evidence of the world, and more. Rylant meditates on the beauty of snow, the way it reminds us of all things impermanent, and its place in the natural cycle of life (at least in places far enough north and/or not withstanding global warming). Lauren Stringer's illustrations do a perfect job of combining the warmth of indoors and the cold of outdoors during snow. There is a fun subplot in the illustrations to discover after savoring Rylant's words. Some of you may know Chris Hart from his drawing books for older kids and adults and his Manga work. I have been wanting to add good drawing books to the library collection at our school and I've also wanted to keep some on hand in the library for kids who would like to give some things a try while they are in the library. I've had trouble finding books that are good for younger children. SO many are not beginner drawing books. As a classroom teacher, I learned how powerful how-to types of books are and I am finding that cookbooks, craft books, and drawing books are checked out often. 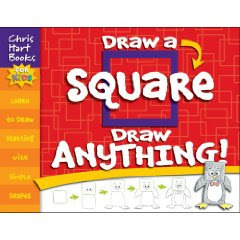 So I was thrilled to find a series of 3 new drawing books by Chris Hart: DRAW A CIRCLE, DRAW ANYTHING; DRAW A TRIANGLE, DRAW ANYTHING; and DRAW A SQUARE, DRAW ANYTHING. I plan to create a basket of drawing books that can be used in the library and if kids seem to like them, we'll get several copies for checking out. These books are wordless. Students use the visuals to learn to draw a variety of things. And they draw everything beginning with one simple shape. A few words from the author at the beginning of each books let them know that if you can draw the shape, you can draw anything! These books make drawing very inviting and doable for young children. Flipping through them even make me think I might be able to draw some of the things. And there are SOOO many things you can draw in each of the three books. The final picture on each page is colored in so artists could get some ideas on how to color it when finished--looks like colored pencils which I'll add to the basket with these books. For classrooms, these would be great for indoor recess. A few of these books with colored pencils would be a great indoor activity that kids would love. The round up this week is at Becky's Book Reviews. The schedule of round ups is in the sidebar here. More about Poetry Friday is here. And information about copyright is here. I finally had a chance to read SAVVY by Ingrid Law and I LOVED it! Who hasn't loved it, really? Everyone I have talked to who has read the book has loved it. It is showing up on Mock Newbery lists everywhere. It is definitely one of my top 5 picks for the Newbery this year. At this point--since I am so late in reading it--it seems silly to tell you what it is about. Many others have done that already. This book received a starred award in Booklist, Kirkus, AND Publisher's Weekly--WOW! First of all, I loved the whole concept of this book--that everyone has a savvy. In Mibs' family, you get your savvy when you are 13 and she is getting ready for her 13th birthday. A savvy is a special thing that you can do--helping define who you are. Of course this is a growing up kind of story. Mibs is struggling a bit with growing up while she is also worrying about her father, who has been in a car accident. I love books where people are thrown together and good things happen. In Savvy, kids and adults are thrown together on a bus ride and the relationships grow as they are together on the bus. We get to know each and every character well (which is huge for me as a reader) and I ended up seeing the good in each and every one. I guess this would be considered a fantasy. The savvy definitely makes it that. But, it reads like realistic fiction. It will definitely appeal to a wide range of audiences--boys and girls, a pretty wide age range. I am thinking 4th or 5th grade is the youngest who would enjoy this book. I'm hearing lots of teachers and librarians doing book talks around this one. I could definitely see that. On an aside, I'll never be able to see a tattoo again without thinking of this book! ...Dog turns back to his dinner guests seated at the table and says with regret in his eyes and voice, "Too mad Mouse couldn't come, too." But isn't that Mouse peeking in the window? Sure enough, he joins the group for cake in the final endpapers. Be sure you look for a cameo appearance by the big red ball in the final pages. They do not like you either. These four wild boars are definitely joining Scaredy-Squirrel, Chester, Elephant and Piggie, Pigeon and Farmer Brown and Duck as some of my very favorite picture book characters ever! Can't wait for another one. And it definitely goes on my "Books I Can Read A Million Times" List! As a person running in one of the "small" races on the November ballot, she encouraged us to "Vote up." Start at the bottom of the ballot and make sure you vote for all of the "small" races and issues before you get to the presidential race at the top of the ticket. Good advice for all voters. Pass it on, please. Let's not get so caught up in the "big" race that we forget to help decide all the issues and races that might effect us on a more daily basis. As educators, we were interested to hear Ms. McKinley's positions on such issues as licensure fees and a more publicly responsive State School Board. Ms. McKinley reported that so far, the ONLY question she had been asked in phone calls from the voting public at large was to determine her position on teaching creationism/intelligent design in the public schools. This novel in verse is told through the voices of several of the students at Rhea County High School in Dayton, TN, where J.T. Scopes happened to substitute in a biology class on the day the evolution chapter was covered, and then agree to be arrested for violating the Butler Act. Other voices include adults from the community who represent a variety of positions on religion and science. because they think science will poison our minds. Well, I don't feel poisoned. I still believe in the divine. Why should a bigger mind need a smaller God?" Through the poems, we learn of the friendship between Clarence Darrow and W.J. Bryan, and how, by the end of the trial, that friendship had dissolved when their differences of belief became too great to overcome. The poems show that, for some of the fictional characters at least, the Scopes Trial was a life-changing event. In the Epilogue we learn that especially up until the 1960's, but continuing today, teachers are nervous and/or under attack for teaching about evolution. And where does Kristin McKinley stand on this issue? She believes that as long as the US Constitution says that there is a separation of church and state, we don't even need to waste our breath arguing about it, and we certainly don't need to waste money that could be used educating our children to argue about it in the courts. There's a lot to be said for having a library school-trained librarian in the elementary school library. But there's also a whole lot to be said for having an experienced and thoughtful teacher of reading as the librarian in an elementary school library. 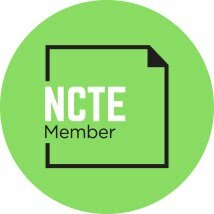 Case in point: Franki's got an excellent article over at Choice Literacy this week, "A Workshop Model in the Library: Time for More Than Book Checkout." While I'm getting back up to speed with reading and reviewing and blogging, here are some fun tidbits. They all seem kind of related in a weird sort of way. But, if you had purchased $1,000 worth of beer one year ago, drank all the beer, then turned in the aluminum cans for recycling refund, you would have $214.00. Based on the above, the best current investment plan is to drink heavily and recycle. It is called the 401-Keg. Thank you, loyal Blog Readers for your patience during this time of much school work and little blogging. 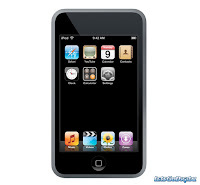 It's feeling like there will again be enough hours in the day to include reading and blogging. Beginning today. 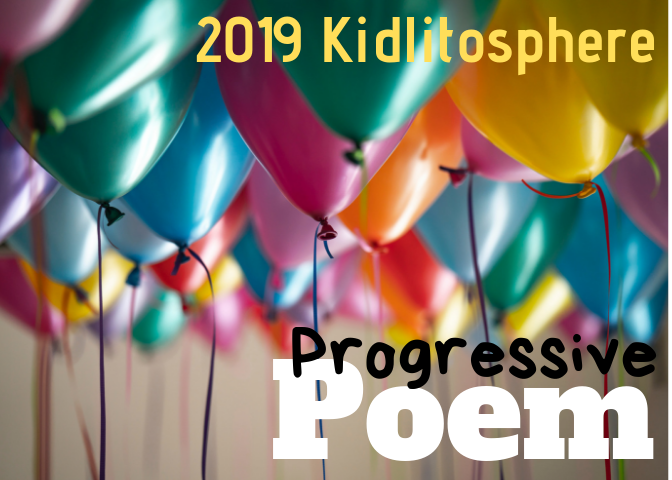 The Poetry Friday round up is at Picture Book of the Day. For more information about Poetry Friday read Susan's (Chicken Spaghetti) poetryfoundation.org article. For information about copyright and Poetry Friday read Cloudscome's excellent article. This week is our Scholastic Book Fair. The fair is filled with great books and I'll be sharing some of the ones I discover this week. One of the big new titles by Scholastic is THE MAZE OF BONES. 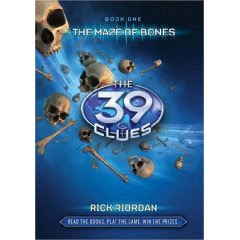 This is the first in THE 39 Clues series which is an interesting series. For those of you who aren't familiar with the book, it is not only a book. Scholastic seems to be trying something new. Readers can read the books, visit the website to play games and win real prizes, and collect trading cards with even more clues. This book is the first in a series of 10, each by a different well-known author. Each will continue with the story and a new book will be released every 3-5 months until the last one is released in 2010. Rick Riordan is the primary author--from what I've read, he authored the first book and then created the basics for the rest of the plot. I think the fact that there are great authors like Riordan involved, gives this series a great deal of credit in terms of quality. I have admitted before and I'll admit again that I never read the Harry Potter series. I tried the first one several times and just never got into it. I know I am missing something good and I missed being part of all of the "stuff" around the books. I hated not being part of the "club" of people who had read Harry Potter. So, when I started to hear about The 39 Clues--which has a HUGE marketing agenda--I decided I wanted to at least be part of the conversations. I decided that, as a school librarian, this was a book I needed to read quickly and know about. So, I read it this week and I must say, I really liked it. I have no idea what the children's book reviewers are saying about it. But, I read it thinking through how it might be perceived by children. I don't know if it will meet the expectations that Scholastic has for it, but I definitely think it is worth buying for school libraries and upper elementary classrooms. The story is set up early in the first book. Grace Cahill, grandmother to Dan and Amy Cahill dies and leaves a will. Relatives have a choice: Take one million dollars or receive the first clue in a mystery that could be important to the world. The race begins between Dan and Amy Cahill and the other relatives who decide to take the clue. This is a fun mystery and it is being compared to lots of books. For me, it was part Series of Unfortunate Events (2 orphans always on the run from relatives they can't trust), Spy Kids (cool spy tools and lots of sibling fun), and From the Mixed Up Files of Mrs. Basil E. Frankweiler, my favorite book from childhood. Amy and Dan Cahill reminded me a bit of Claudia and Jamie. Claudia--the smart, organized "big sister" and Jamie, the clever, "little brother" who has his own unique talents. Many people are also saying it is a kids' version of THE DAVINCI CODE minus the religion. I can see that comparison too. There are codes and fun things to figure out throughout--if you read the book, you'll notice little things that don't seem right and you'll realize they probably serve as some clue that you'll learn about later. The cards are quite fun--more codes and some "fictional primary source documents". For example, my stack of cards included a report card and a guest list with cabin numbers from the Titanic. This book is made of all things kids love. I can see it as a huge hook for boys and girls alike. I am already looking forward to the next book, due out in December. There is a lot of talk about what has happened to children's book publishing--that this series was planned by marketers rather than by authors. I am not sure how I feel about that. And I am not sure if it matters if the product works. I see what Scholastic is trying to do--hit kids where they are. Tie in trading cards, websites, games, and more with a book. Clearly, the books are key and Scholastic is getting great authors to write the series. I think that speaks volumes. I think the test will be whether kids like it or not. I am ready with ears open to hear what students at my school say about the book. My hunch is that it is going to be a big deal. I can see it hooking lots of readers. And chances are, if they fall in love with this series, they will read others by Riordan and others. This review goes out to the parents of all toddlers. Also, to the parents of all teenagers. Nanna and Poppy, the grandparents who are visited by their granddaughter in the 2006 Caldecott winner, The Hello, Goodbye Window, are never sure whether it is Sourpuss or Sweetie Pie who's come to visit. She assures us that most of the time she really is Sweetie Pie, and she knows that Grandma and Grandpa don't like Sourpuss very much, but when it comes to who she'll be..."I don't know how it's going to be. It just happens." One minute she's hugging, the next she's insisting on her way. One minute she's thinking of others, the next she's completely self-absorbed. One minute she's "YES! ", and the next she's "NO!". Through it all, no matter what the mood, Grandma, Grandpa and Granddaughter listen to music, paint, play pretend, read books, and go for drives. When Nana and Poppy put her (them?) to bed, they wonder who will be there in the morning...and for how long. Raschka's bright and sunny Sweetie Pie illustrations contrast with the darker, stormy Sourpuss pictures, in a book that is sure to be a favorite of grownups and moody young ones alike. Here is my interview with Melissa Sweet, illustrator of A River of Words: The Story of William Carlos Williams by Jen Bryant. This is the book I nominate for the Caldecott Award. The round up today is at Two Writing Teachers. Have you already taken your students or your story time participants on a bear hunt? Then it's time to go on a lion hunt! Join the teacher in the book -- put on your safari hat and use your imagination. Walk out the door of the school right into a safari. There will be all the usual things that you can't go over, can't go around, have to go through: mud, sticks, trees, water, tall grass, and finally, the obligatory cave. Hurry back through all the obstacles until you arrive safely back at school. After the lion hunt, why not go on a pirate treasure hunt? You'll get to use your best "Talk Like a Pirate" voice. (Sorry I didn't have the book for International Talk Like a Pirate Day on September 19. ARRRRRRRH!) You'll get to insult your audience pirate style -- "Ye little bubble bath takers; ye little milk sippers; ye little tooth brushers..." And you'll get to go over, around and through all kinds of obstacles until you get to the obligatory cave. When you have to hurry back to the ship up, down, over, under and through all you went to get to the treasure, you open the chest and find...BOOKS! And the key to opening the treasure is "Reading, me hearties!" Cybils Nominations Open TODAY, October 1st: How Can You Participate? The Cybils team has worked hard to balance democracy (anyone can nominate titles) with quality control (two rounds of panel judging by people who focus on children's books every day). We do this work because we consider it vital to get great books into the hands of children and young adults.